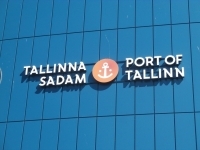 TALLINN – The number of passengers served by the state-owned Estonian port company Tallinna Sadam hit a record 10.6 million last year, driven mainly by higher cruise passenger numbers, the port company said. Vihman said that according to the data made available by the new app, of all the passengers who passed through the port from April to December, Finnish nationals made up 42 percent, Estonian nationals 24 percent, German nationals 5 percent, US nationals 3.5 percent and Sedish nationals 2.8 percent. The most popular vessel in 2018 was the Tallink ship Megastar sailing between Tallinn and Helsinki, which carried 2.067 million passengers. Eckero Line's Finlandia was in second place with 1.860 million passengers, Tallink's Star third with 1.754 million passengers and Viking Line's Viking XPRS fourth with 1.743 million passengers. Also the ferries in places two to four ply the Tallinn-Helsinki route. Tallink's market share in the total number of passengers was 57 percent, Viking Line's 18 percent, Eckero Line's 18 percent and Moby SPL's 1 percent. In 2018, the annual cargo volume of Tallinna Sadam totaled 20.6 million tons, increasing by 7.4 percent compared to the previous year, mainly due to liquid bulk and ro-ro. The number of passengers increased by 0.6 percent year-on-year, reaching an all-time high of 10.6 million passengers.